Artist rendition of Spaceport Colorado. [Via Satellite 10-09-13] Swiss Space Systems (S3), an aerospace company that designs and engineers suborbital launch systems, has signed a memorandum of understanding (MOU) with Spaceport Colorado, a commercial space transportation, research and development hub. The move formalizes a collaborative relationship and advancing the spaceport’s long-term development and licensing plans. Headquartered in Switzerland, S3 is now looking at developing its presence in the United States to serve the North American market. With this expansion in mind, S3 designated Colorado as a location for the company’s hub in the U.S. After a memorandum of agreement (MOA) is signed later this year, S3 intends to deploy a business model that focuses on small satellites and research-oriented micro-gravity operations, and eventually offer satellite deployment and commercial space activities. S3 plans to work closely with Colorado’s leading universities, as well as providing support and integration with new space companies. Spaceport Colorado has cleared all initial hurdles in the licensing process and is currently conducting preliminary planning and feasibility studies with HDR for validation. 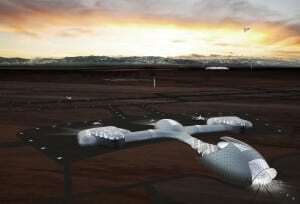 A spaceport license is expected to be awarded in 2014.